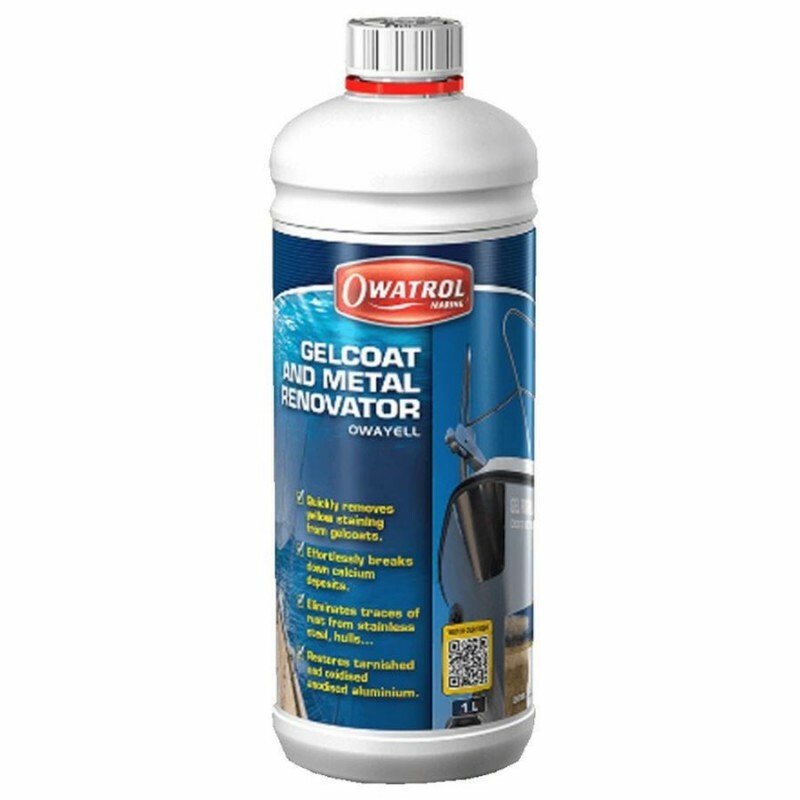 Owatrol is a gelcoat and metal renovator which removes yellow staining, limescale and rust spots from gelcoat, stainless steel and other surfaces in a matter of minutes. It will brighten and whiten gelcoats as well as dissolve limescale, sea salt and water marks. 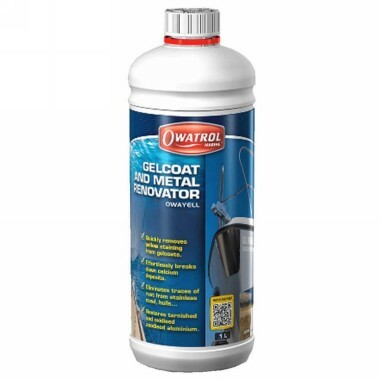 Will also disintegrate dirt caused by micro-organisms and barnacle/shell residue and can be used to restore shine to stainless steel, anodised aluminium and chrome surfaces. It's is simple to use and is fact acting in just 5 to 10 minutes. It can also be used to passivate raw steel and aluminium in preparation for painting.